In June, an informative workshop about airfield markings was presented at St. Petersburg-Clearwater International Airport. The month of August brought a daylong discussion about preventative airfield maintenance at Martin County Airport/Witham Field. 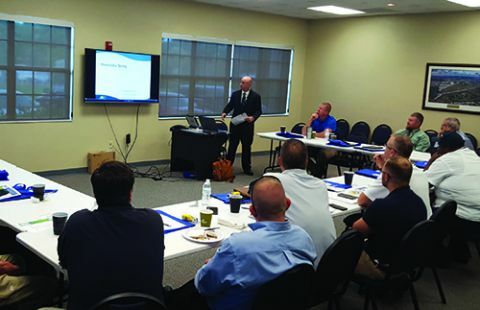 And in September, a basic electrical safety course was delivered to a roomful of eager attendees in Tallahassee International Airport's Terminal Building. Ethan Croop, vice chairman of the council's Facilities Committee, says that the workshops provide a forum for airports to work together to fulfill training and informational needs. The events are carefully designed to provide top-notch training for maintenance and field workers, he adds. Croop cites his employer, the Lee County Port Authority, as a prime example of an organization that can benefit from the curriculum. "At Southwest Florida International Airport, our maintenance department consists of 103 people, the majority of whom are actually out in the field doing the work, whether in the terminal or in the airfield," he explains. "We really try to target good training opportunities for these folks with subject matter experts." As manager of Maintenance Programs for the Authority, Croop has an inherent understanding of the specialized information airfield employees are seeking. That's precisely the type of content the council presents for its members, he adds. "I think our participants are drawn to the workshops for both the zero-cost and the fact that they can be very technical," Croop says, noting that other conferences tend to offer costly one-hour sessions geared at multiple levels of airports. "Our audience is generally not concerned with high-level management topics." Workshops presented by the Florida Airports Council are more hands-on, focusing on topics such as best practices for applying and removing painted airfield markings, or the ins and outs of photometric testing. "We try to share this type of information through technically-oriented workshops," explains Croop. The events also allow attendees to hear what their peers are doing in the field and learn from each other's experiences. Topics are chosen according to member interest and industry trends. To date, they have run the gamut, from highly specialized subjects such as chiller plan operations to overarching symposiums on airport equipment. 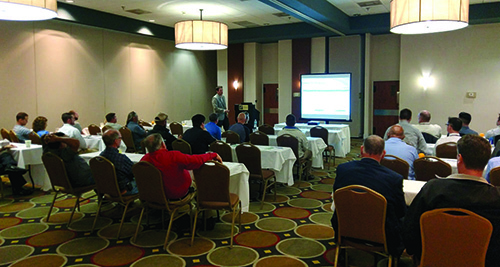 In August, Neubert Aero Corp. President Tim Neubert presented information about preventative airfield maintenance at a workshop his company helped sponsor. Neubert says he was attracted to the council's workshop concept because attendees not only receive information in a classroom setting, they also have the opportunity to get their hands on equipment. He also likes the size and interactive format of the workshops. The group at his session included 20 participants from nine airports and their business partners. "It gave attendees an opportunity to pose questions not only to the presenter but to each other because of the relaxed atmosphere," he notes. "Normally, in a classroom environment, you don't usually have participants talking to other participants because it would be rude. Attendees were able to do that in this environment, which added to the personal connection within the room." Croop notes the workshops are designed with attendee convenience in mind. "Because we understand the constraints of airports in terms of time and out-of-county travel, we try to minimize the impact of that," he explains. "We have found that one-day workshops are fairly effective. We also try to find sponsors for breakfast and lunch, so there is no additional cost to participants. If somebody sees one of these training programs, it is really just their time and mileage to get there." Neubert appreciated that the session he participated in was not a full-day workshop. "It was cleverly programed to be an early shotgun start, and then we finished up around lunchtime so that people who drove from across the state could still get back home," he observes. Waterblasting Technologies hosted a continental breakfast that kicked off the event and gave participants a chance to get to know one another. Later, personnel from the company discussed and demonstrated rubber removal methods. "I'm not sure that there's any other organization that is focused on helping the airports within their state like the Florida Airports Council is," says Dave Friday, vice president of Sales and Marketing for Waterblasting Technologies. "It is extremely valuable to have the events outside of an annual event throughout the year to provide more in-depth focus on a particular area and live physical demonstrations." Sightline President Donna Speidel, who presented at the airfield markings workshop in June, is similarly impressed with the council's series of professional development sessions. "Florida is the only (state airports council) that I know about that is so involved that they pull in their members throughout the course of the year to introduce them to these kinds of training." Speidel consolidated the "soup-to-nuts" material that typically takes her more than two days to deliver into a three-hour "nuts-and-bolts" presentation for the council's workshop. Speidel also focused on "how-to" information rather than the budget effects of various marking methods. Another notable difference-participants attending her abbreviated event did not have to pay registration fees. "This is a good way for the Florida Airports Council to get its members involved and to add more value to its membership," she remarks. "And it is also a way for the vendors who want to interact and sell to that membership to be in front of them and have them understand what we do." 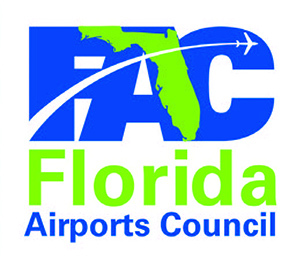 In total, the Florida Airports Council has members from all 22 of the state's commercial service airports, 80 publicly-owned general aviation airports and one spaceport. It also has more than 250 corporate, educational, affiliate and student members. "It is very worthwhile, and I want to contribute to what the Florida Airports Council is trying to do for its members," says Speidel. "I think it is very noble of them to be going to the lengths that they are." For more information about the council's workshop series, visit floridaairports.org. Topics: Airfield markings, airfield preventative maintenance, electrical safety, etc.